Edward Casaubon dies early in Book V of Middlemarch. Occurring where it does, it effectively bisects the novel; and indeed, it is a pivotal event in Dorothea's history. His will erects her central dilemma. She faces a choice, forced upon her by her deceased husband, between his money and his cousin. The significant detail is that even in death, Mr. Casaubon continues to exert control over the options open to Dorothea, and the locus of that control is her property. The title of Book V, 'The Dead Hand', is taken as referring explicitly to this immortal control by Mr. Casaubon over his widow. It has a sinister ring to it: the notion that the dead can manipulate the living by means of the law is a distinctly chilling one. 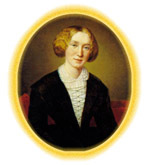 For George Eliot's legal information is quite accurate: the laws of testacy that constrain Dorothea were described in a book she read in 1853.1 But in the title of Book V she recalls a more obscure, equally insidious law. In feudal England, property held by the tenant of a fiefdom was subject always to the will of his Lord. If that tenant's legal circumstances changed in any way whatever - if he married, for instance, or died, or committed a crime - then that property reverted and the Lord could choose what fief to replace it with. However, this liberty was denied when tenants made a gift of their property to a religious corporation. Land belonging to a monastery was owned by an institution which did not die, marry, or change its legal status in any way to the Lord's advantage, and the tenant was free to keep it under the aegis of the religious body.